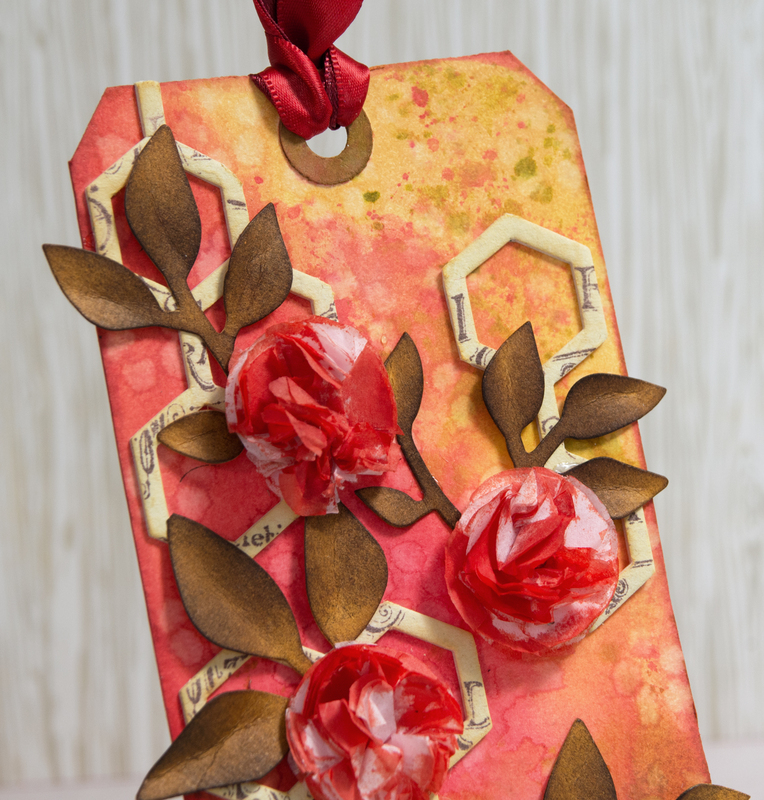 Have you checked out the gorgeous entries to the August Mixed Media Card Challenge ? In the gallery there are links to over 50 (!!!) fabulous summer themed cards that will for sure inspire you to take out your gesso jars, paint tubes, inks, stamps, burlap pieces, die-cutting machine, and embellishments! Our current challenge closes on August 25, 11:55 p.m. PDT (GMT -700), which means that you still have five days to link your project images to the gallery. 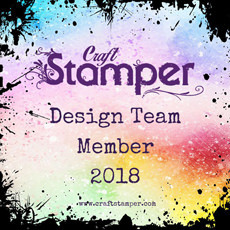 Remember that you can enter with as many projects as you like! The flowers were really easy to make: I just cut a pile of pink tissue paper with a circle shaped punch, and attached the layers together with a few stitches in the middle. I misted the flowers with red mist, dried with a heat gun, and glued down on the tag front. 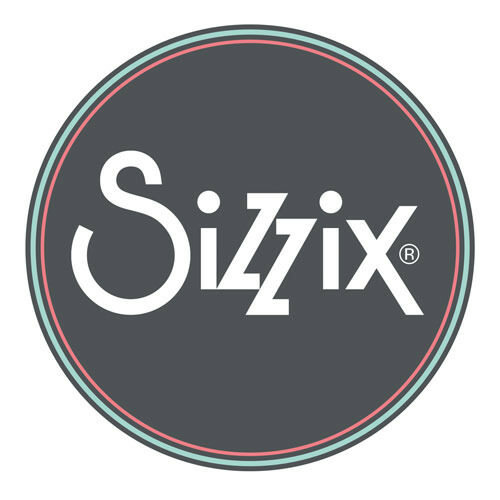 The honeycomb pattern is cut from chipboard with this Sizzix die. I decorated the surface with stamps before attaching on the tag. 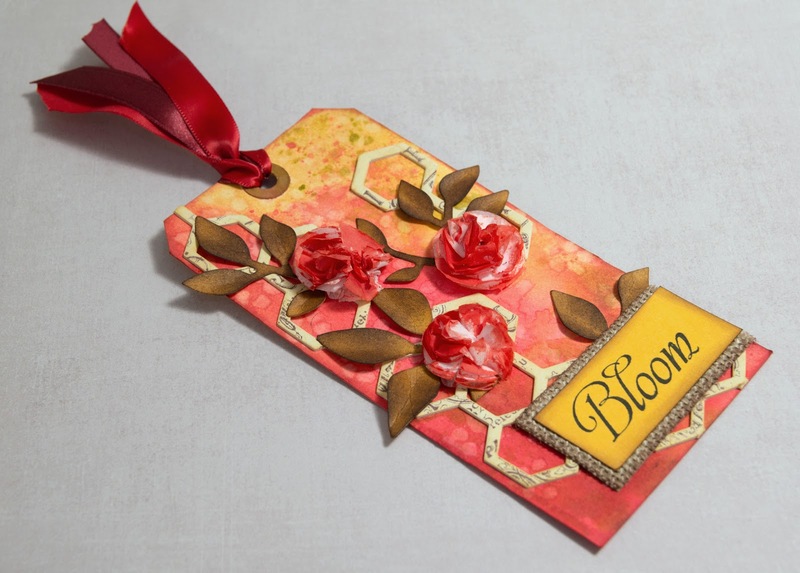 The leafs under the flowers are die-cut, too, using this Sizzix die. I hope the beautiful challenge entries inspire you to play along. 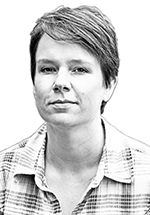 Hoping to see your project among the linked creations! 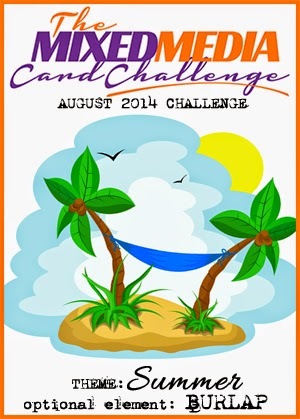 All your August challenge cards were amazing. Thanks for the inspiration! 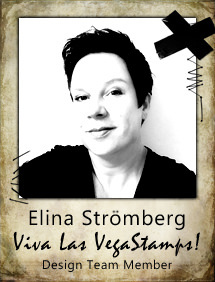 What a beautiful background you created on your tag Elina! 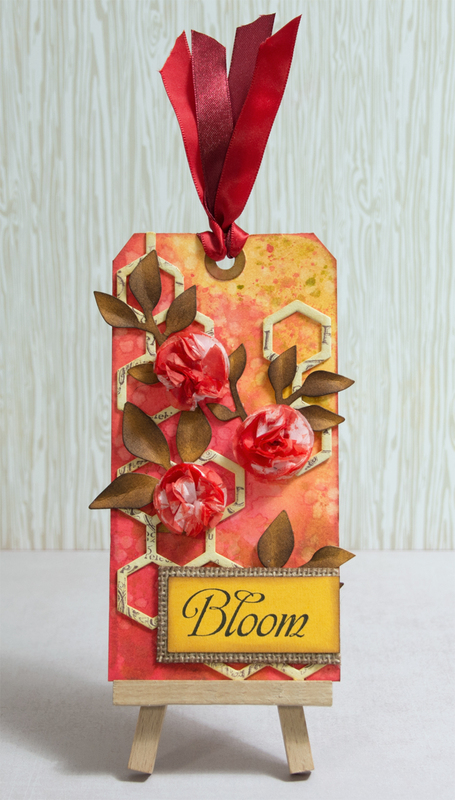 love the colors, the honeycomb and pretty blooms! What a pretty tag. The blooms look like little roses. Thanks Kripa for your kind words. The roses were so quick and easy to make - what a nice way to upcycle the tissue paper used for wrapping! A beautiful tag, Elina! Love these flowers! I think I have some of these manila tags stashed away. I need to dig them out.